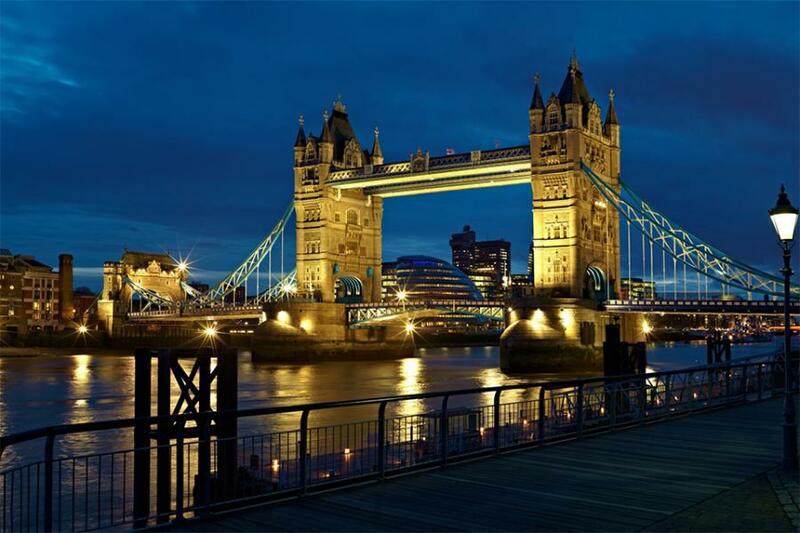 London is the capital and most populous city of England and the Kingdom. Standing on the River Thames, London has been a major settlement for two millennia, its history going back to its founding by the Romans, who named it Londinium.London's ancient core, the City of London, largely retains its 1.12-square-mile (2.9 km2) mediaeval boundaries and in 2011 had a resident population of 7,375, making it the smallest city in England. Since at least the 19th century, the term London has also referred to the metropolis developed around this core. The bulk of this conurbation forms the Greater London administrative area (coterminous with the London region),governed by the Mayor of London and the London Assembly. Wales is in north-west Europe and is part of Great Britain, an island country and the United Kingdom. Wales is a mountainous country on the western side of Great Britain, and is bordered by England to the East, the Bristol Channel to the south, and St George’s Channel in the west, and the Irish Sea to the north. Scotland- Its capital have long history is amongst the most intriguing and exciting of any city in the UK. Edinburgh has been the capital of Scotland since 1437 and gained city status in 1889, over the years Edinburgh has developed a world famous and truly fascinating past. The site aims to educate existing residents of Edinburgh as well as the many thousands of foreign visitors which the areas surrounding Edinburgh receive each year. On Arrival at Heathrow airport. Pickup and transfer to hotel. The rest of the day is free for you to explore your local surroundings. Overnight at hotel. After breakfast, first visit Swaminarayan Temple. Later proceed for Panoramic city tour of famous places like Marble Arch, Oxford Street, Regent Street, Piccadilly Circus, Trafalgar Square, Hyde Park, Westminster Abbey, Buckingham Palace, Tower of London, St. Paul’s Cathedral. Enjoy Ride on London Eye. Overnight Stay. London Eye: The London Eye is a giant Ferris wheel on the South Bank of the River Thames in London. Also known as the Millennium Wheel, its official name was originally published as the British Airways London Eye, then the Merlin Entertainments London Eye, then the EDF Energy London Eye (between January 2011 and August 2014) and is currently called the London Eye. After breakfast, check-out from hotel. Proceed to visit Bath. Later Photo stop at Stonehenge. Proceed to Cardiff. Arrival, Check-in at hotel. Overnight Stay. After breakfast, Depart for Panoramic sightseeing of Cardiff's famous places like Cardiff Bay, Castell Coch, Bute Park, National Museum, City Hall, Norwegian Church, Piehead Building, Llandaff etc. Visit Cardiff Castle. Overnight Stay. Cardiff Castle: Cardiff Castle is a medieval castle and Victorian Gothic revival mansion located in the city centre of Cardiff, Wales. The original motte and bailey castle was built in the late 11th century by Norman invaders on top of a 3rd-century Roman fort. The castle was commissioned by either William the Conqueror or by Robert Fitzhamon, and formed the heart of the medieval town of Cardiff and the Marcher Lord Territory of Glamorgan. In the 12th century the castle began to be rebuilt in stone, probably by Robert of Gloucester, with a shell keep and substantial defensive walls being erected. Further work was conducted by Richard de Clare in the second half of the 13th century. Cardiff Castle was repeatedly involved in the conflicts between the Anglo-Normans and the Welsh, being attacked several times in the 12th century, and stormed in 1404 during the revolt of Owain Glynd?r. After breakfast, check-out from hotel. Proceed to Liverpool. Panoramic sightseeing of Liverpool's famous places like Albert Dock, Walker Art Gallery, Cathedral, Merseyside Maritime Museum, Philharmonic Hall, St. George's Hall, Wold Museum, Royal Liver Building, Tate Liverpool etc. You can visit Beatles Story. Check-in at hotel. Overnight Stay. After breakfast, Check-out from hotel and proceed to Manchester. Arrival, Visit Famous Manchester Football Stadium. Local Panoramic sightseeing of Manchester's famous places like Museum of Science and Industry, Bridgewater Hall, People’s History Museum, Heaton Park, Chinatown, Cathedral, Urbis, Opera House, Granada Studios etc. Overnight Stay. After breakfast, check-out from hotel and proceed to Lake District. Enjoy Boat Ride on Lake Windermere. Later proceed to Edinburgh. After dinner transfer to hotel. Overnight Stay. After breakfast, Depart for Panoramic sightseeing of Edinburgh's famous places like Holyrood Palace, Mary King’s Close, National Museum of Scotland, Princes Street Garden, Scottish National Portrait Gallery, St. Gile’s Cathedral, National Galley, Dynamic Earth, National War Museum etc.. Afternoon entrance to Edinburgh Castle. Overnight Stay. Edinburgh Castle: Edinburgh Castle is a historic fortress which dominates the skyline of the city of Edinburgh, Scotland from its position on the Castle Rock. Archaeologists have established human occupation of the rock since at least the Iron Age (2nd century AD), although the nature of the early settlement is unclear. There has been a royal castle on the rock since at least the reign of David I in the 12th century, and the site continued to be a royal residence until the Union of the Crowns in 1603. From the 15th century the castle's residential role declined, and by the 17th century it was principally used as military barracks with a large garrison. Its importance as a part of Scotland's national heritage was recognised increasingly from the early 19th century onwards, and various restoration programmes have been carried out over the past century and a half. As one of the most important strongholds in the Kingdom of Scotland, Edinburgh Castle was involved in many historical conflicts from the Wars of Scottish Independence in the 14th century to the Jacobite Rising of 1745. It has been besieged, both successfully and unsuccessfully, on several occasions. After breakfast, Depart to visit Stirling Area. Optional entrance to Stirling Castle. Later proceed to visit Loch Lomond Area. Enjoy Cruise at Loch Lomond. Return back to Edinburgh. Overnight Stay. After breakfast, check-out and proceed to airport for onward flight.